President Jean-Claude Juncker delivered his speech to the European Parliament in Strasbourg on Wednesday. 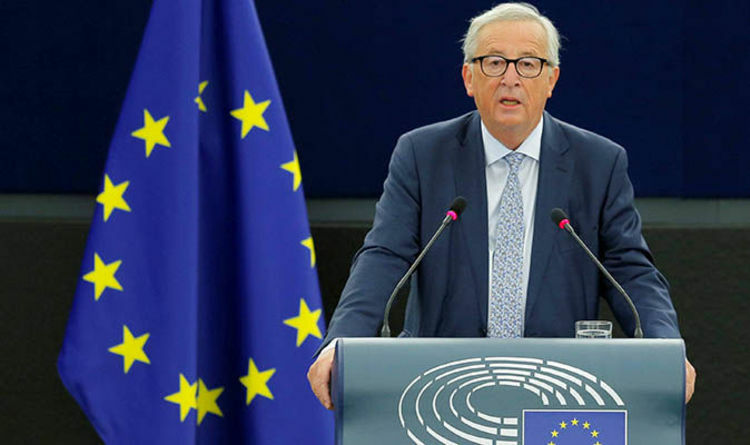 In this fourth annual speech, Mr Juncker sets out the bloc’s agenda for the coming 12 months, which will largely be dominated by the UK’s withdrawal. Today’s speech focused on the topics of Brexit, trade, law, past conflict, migration and the EU-Africa strategy. Later today, MEP’s will vote on copyright law, disciplinary proceedings against Hungary, debate on EU budget and discuss plastic recycling strategies.